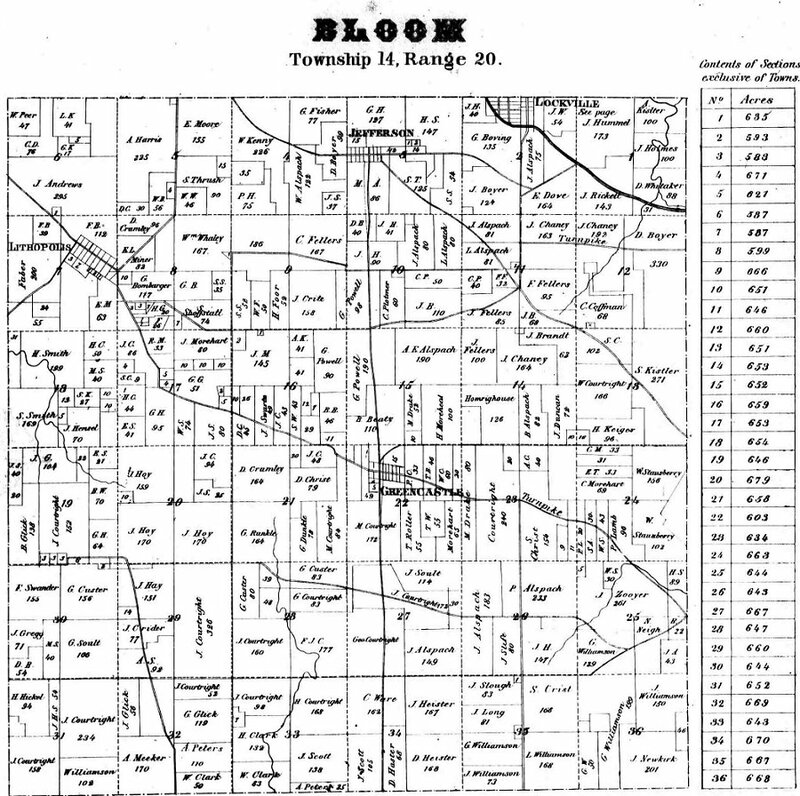 Below the image of the map is a text list of the names or initials listed in each section. This is not an all-inclusive list as there are some portions in sections that didn't specify a name for the amount of acres listed, and vice versa. The list will just give a viewer an idea as to where to look on the map for a particular surname. You'll notice, too, that a person may own land in one section that overlaps into another section.